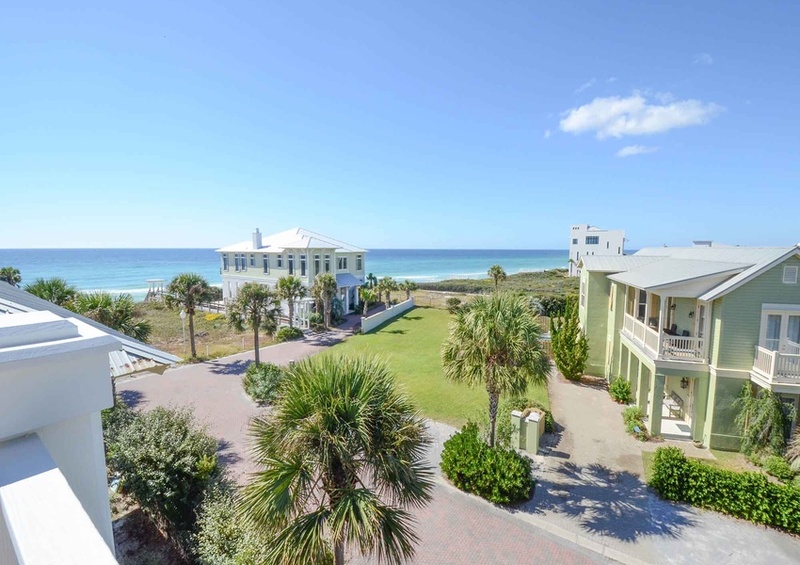 You”ll have no problem counting your blessings during your dream vacation stay at Beach Blessing of 30A by Southern! 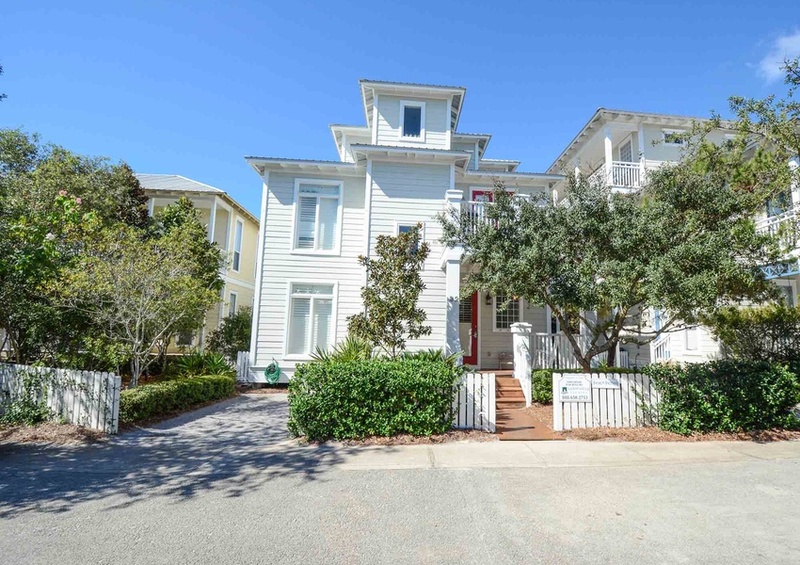 Centrally located in Seagrove Beach, you’re only minutes away from beautiful downtown Seaside. Known for constant happenings, there’ll be no lack of activities during your stay. Seaside Amphitheater and local restaurants are located within minutes of your location. You’ll know you’re home when you see the red front door and feel the comfortable familiarity of the white picket fence. Beautiful Floridian palms and mangrove trees provide desired privacy without obscuring your view. The driveway is snug to the home so no need to worry about long luggage hauls! Enter the home and you’ll be greeted with elegant yet relaxed decor and bright natural lighting. Furthermore, on the first floor of the home is one of two master bedrooms, complete with a king bed and a large en-suite bathroom. Take the stairs to the second floor and you’ll find a real treat! An open floor plan and numerous windows lend to the expansive feel of the living and dining rooms. Granite countertops and all stainless steel appliances adorn the kitchen. A breakfast bar and island provide additional seating for the whole family! French doors and tall windows provide all the light you’ll need during your morning and evening meals. On this floor you’ll also find the other guest bedrooms. The view on the private balcony of the third floor is markedly breathtaking. The first master bedroom is here complete with a large en-suite bathroom fully equipped with a whirlpool garden tub and double vanity. We know you’ll love Beach Blessing of 30A by Southern. Even the most nuanced desires have been considered. Ranging from in-ceiling speakers to a gas fireplace to the charcoal grill, you’ll have everything you need during your trip. Also, don’t forget to add a local event to your dream vacation plans! Book Beach Blessing of 30A by Southern today!